It May Look Like Band Practice, But It's Hard Work! You are here: Home / Therapy / It May Look Like Band Practice, But It’s Hard Work! It May Look Like Band Practice, But It’s Hard Work! Although it may look like we’re hanging out with Noah at his percussion practice today (although I’m not sure what a yellow balloon would be doing there?) we’re not. We’re (well Noah is) actually working very hard. We’ve spent countless hours at different therapy appointments since Noah was born, and I”m amazed at the creative ways the therapists come up with to help our little boy develop into everything that God has created him to be. At first glance their office looks like an enormous playpen stocked with more toys, swings, and elephants then a 7 month old would know what to do with. However, those toys, are tools. Tools those therapists use to help our little boy get stronger. For instance, banging on the little toy drum helps Noah to develop tactile feedback and stimulation; important for any growing boy or girl. And what looks like a fun swing with a yellow balloon hanging from it actually serves a much greater purpose. As the swing gently moves from side to side, and back and forth Noah has to use his tummy muscles (his core) in order to keep his balance. 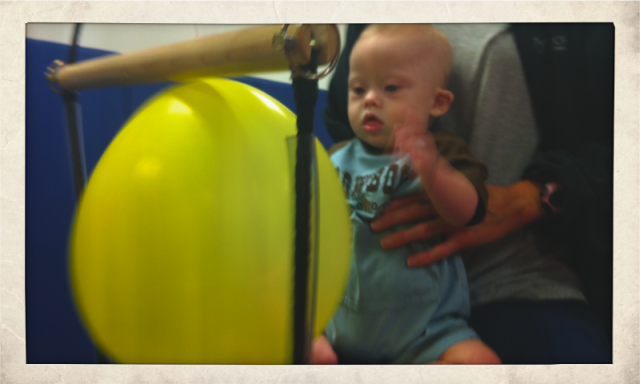 Adding the yellow balloon adds an even greater degree of difficulty to the exercise. 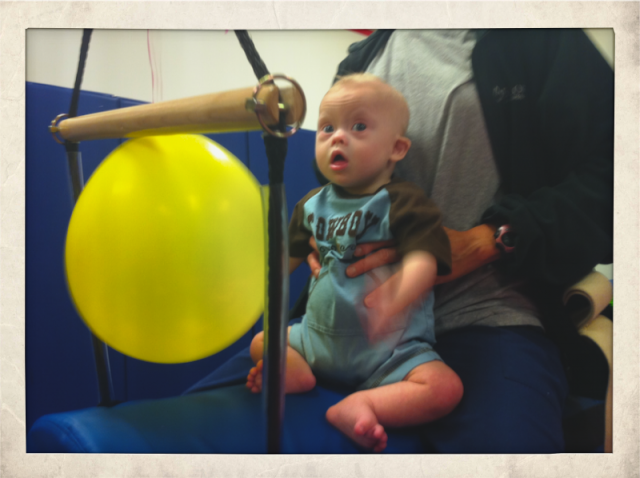 Now Noah not only has to work hard to maintain his balance as the swing moves, but also as he tries to reach for the bright, yellow balloon that’s begging for his attention. It’s actually really hard work. By the way, we are so proud of this little boy, and love him so much. 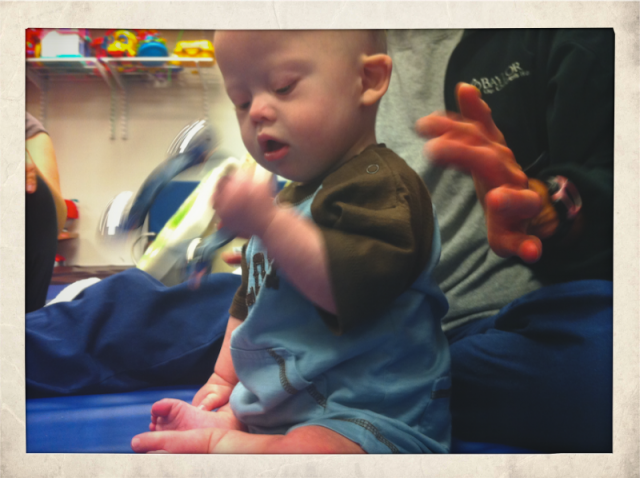 While other seven month old babies are napping, our little guy is working hard at physical therapy, or occupational therapy, or speech therapy. Gosh, we love this little guy. God could not have given us a more perfect son. It’s true that we post a daily one minute video (yes, everyday!) giving the world a window into the life of our family. Most of those minutes seem so awesome! So fun! Like we’re the perfect family! 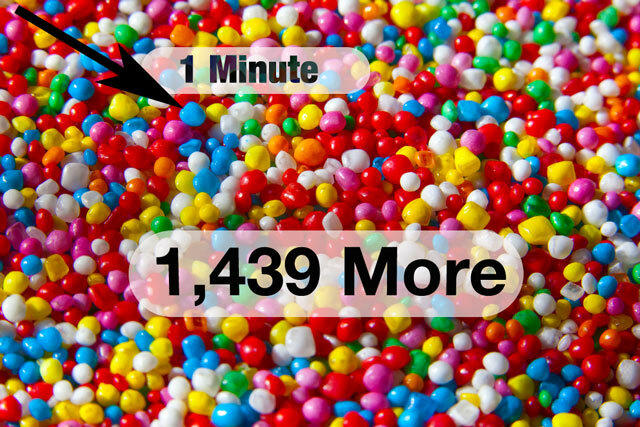 But remember….there are 1,439 more minutes of our day that we don’t post. That you’ll never see. The one minute of video we post is usually one of the few minutes of the day where everything just happened to go right. Those other 1,439 minutes are filled with outtakes. Filled with the kinds of pictures you don’t put in the coffee table photo album. You have your good ones, and you have your bad ones. It's ok. Some Days Go Like This. And It’s Ok.
Noah goes to physical therapy on Tuesdays and Wednesday every week, and yesterday I was going to be taking him to his appointment. About forty-five minutes before Noah had to be at his appointment; I fed him, put a fresh diaper on him, dressed him, buckled him in his car seat (which we keep inside), prepared a bottle for him to eat after therapy, packed it in his little elephant cooler, got his diaper bag ready, and started to head out the door. I slipped on my shoes, grabbed my wallet, and reached my hand in the small silver bowl by our door where our keys call home. 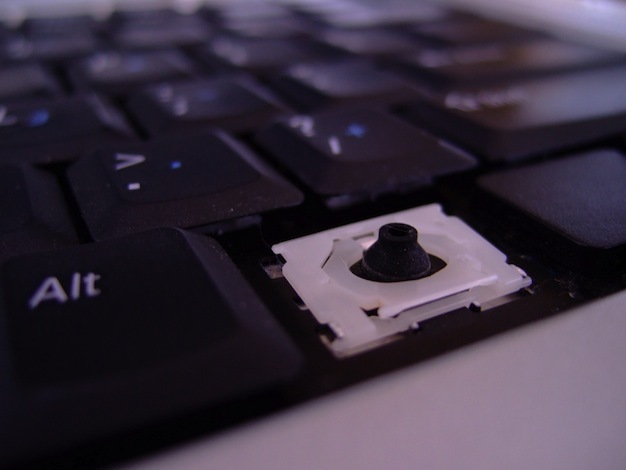 Missing a key is no fun! No biggy. I started to look for the spare. Not on the kitchen table. I tried to call and text my wife, but she was seeing patients and I couldn’t reach her. All the while our two dogs are barking like it’s the end of the world (as they always do whenever one of us goes out the door) and Noah is just hanging out in his car seat looking cute (as usual) and playing with his Sophie. After spending twenty minutes in search of the key…my wife called. We didn’t go to physical therapy, or run errands. We cuddled. We played. We ate dinner. So it was a win regardless. That’s one minute you’ll never see posted, but they happen. You can’t believe everything you read (and see) on the internet. People are very selective about what the post. They post the good, and skip the bad. Don’t spend time trying to become someone else’s perfect family. It’ll never happen. 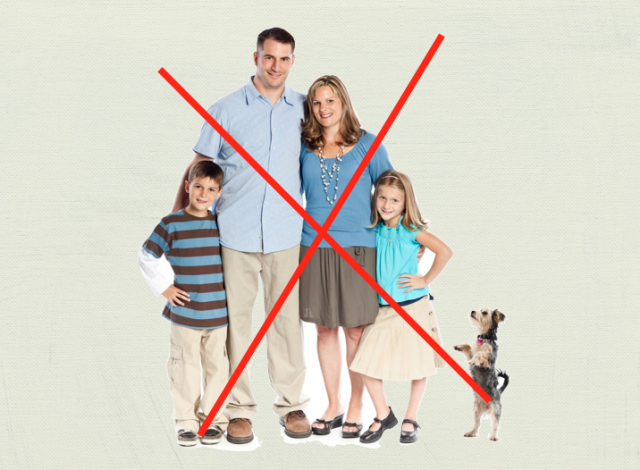 Oh, and by the way; your idea of what your family will look like, and God’s idea of what your family will look like will be very different. And it’ll be ok. God knows what He’s doing. What about you? Have you had a not-going-post-that-in-a-video moment this week? This month? Let’s hear it. Another excellent video. I love how you put the music in it. Noah is doing very well! Perfection exists in the eyes of God, and it is far from what we feel is perfect. It is great to see and read all of this. You have an excellent blog! i will say that it really does say something about your family that you spend the time searching for and aware of the 1 minute. that makes a statement about all of the others. we all have ‘less than perfect’ moments – but really, when you look back, it’s just like talking and saying nothing all day until you have that one inspired moment. if it’s the right thing to say at the right moment, to the right person, i feel like all the rest of the monotony was worth it, i feel inspired and reminded to keep on going. i’m sure you and your wife know to enjoy those few important words during the day that remind you that you are married to one another and why, even if life is filled with appointments and house-cleaning and urp and all sorts of things. I like the music..it’s funky! I like the complete site and I am happy some is there who took this as new life and create a history for all….I must say it’s awesome work done man.